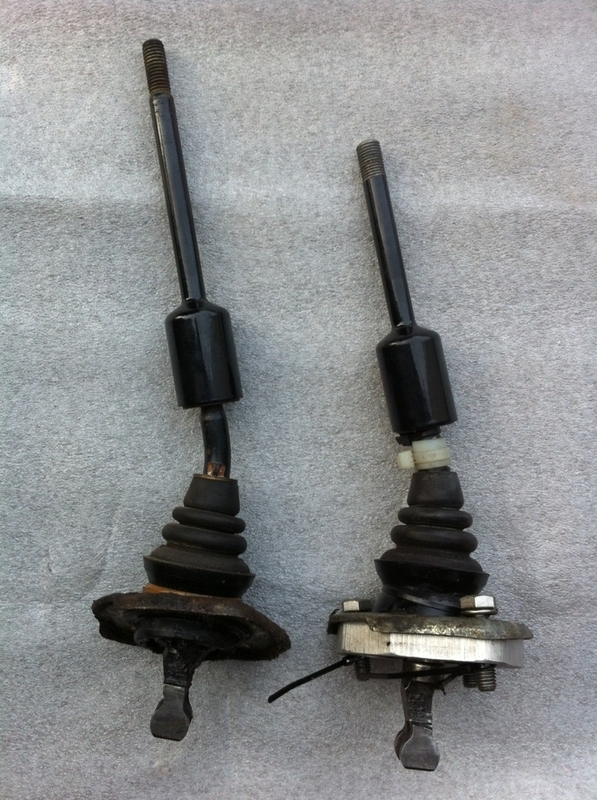 Good used T9 short shifter (on the right in picture) with shim plate and attaching hardware. Makes shifting "throws" more quicker, an driving more spirited. No Longer Available.